We read the 5th chapter of the Little house in the Big Woods today ... It was all about what Sundays was like for their house in the 1800's ! My it's amazing how much has changed over the years ! Laura's family would bath on Saturday using snow brought in from outside ... heated and poured into a wash tub ! they would have bathed behind a blanket screen in front of the fire place ! The baths were on Saturday so the family would be clean for church !!! The family would have wore their very best for the Sabbath !!! 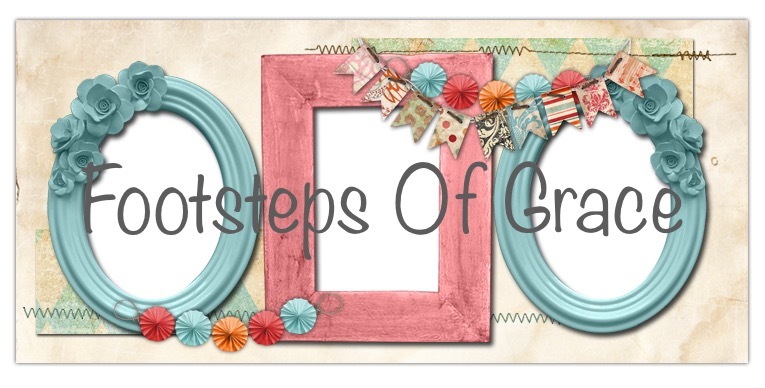 after church the children were not allowed to run , play , sew ,or listen to or sing any music that wasn't considered church music !!! ... All activities were done quietly... They could listen to Bible stories or look in the big green book of animals ... Sundays were hard for 5 yr old Laura ... Later that afternoon she got into trouble for playing with Jack ... Pa showed Laura mercy by not spanking her ! Instead he told Laura and Mary a story about Pa's Pa when he was a boy ! what happened when he disobeyed on the sabbath !!! The next morning was Laura's 6th Birthday ! I was surprised at how different from today's celebrations ! Laura didn't have a Birthday cake ! she did however receive small gifts from her family !!! Pa whittled her a wood man to play with her doll Charlotte , ma made her 5 little cakes for each yr of life ! Mary made her rag doll a dress !!! Pa finished the evening by playing the fiddle for the girls one of their favorites !!! Pop goes the weasel ! I have laryngitis from a severe allergic reaction so our day wasn't as busy today ... We did talk about cause and effect .. Sissy wrote a Page about her favorite story shared about her family ! She choose the story about when my sisters and I were little ! We snuck and ate fudge that we wasn't suppose to have ! While our parents were at work !!! The story went on to tell how my older sisters got caught and I didn't ! It was years before I told my Mom I had been eating it !!! I was actually married ! I got to set down with my Dad that same evening and eat even more fudge ! My family always laugh about this memory ! We went over our new spelling words and our math lesson for the day !!! 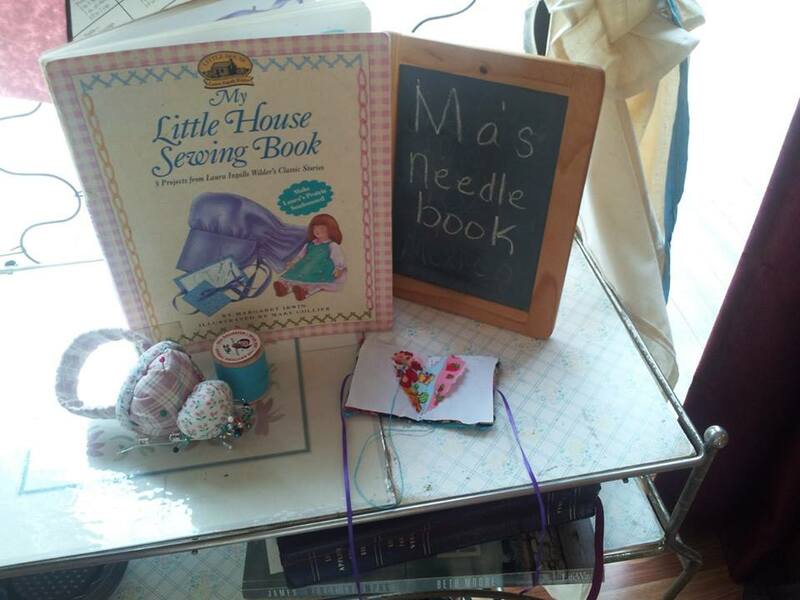 For our special activity for this week we made Ma's needle book from last weeks chapter 4 ! 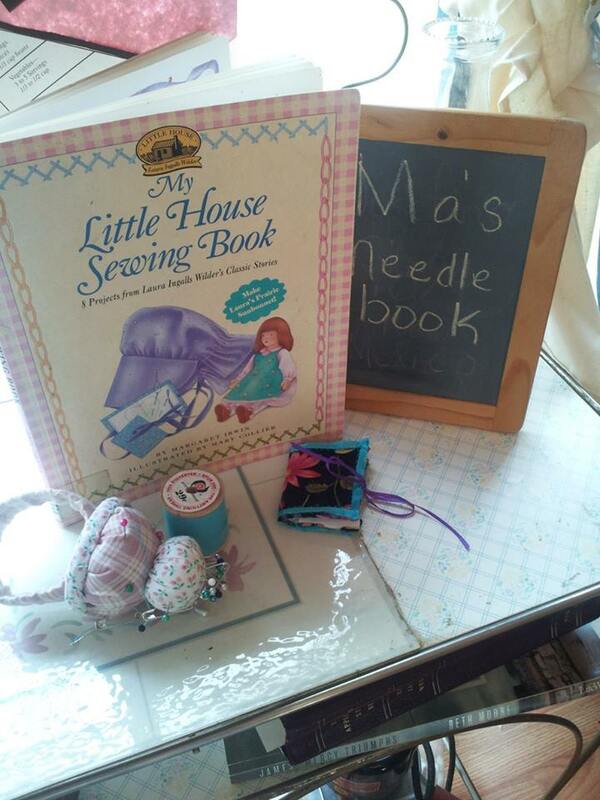 we checked out the little house sewing craft book from our local library !!! hope everyone has a blessed week !! !